While Albany State University celebrated Homecoming last week, unfortunate news was promulgated. Dr. Everette Freeman, the 8th and current president of Albany State University, was hired as the new president of Community College of Denver (CCD) in Denver, Colorado. 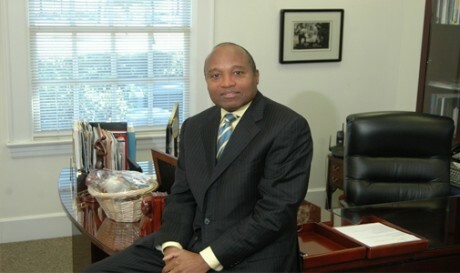 Freeman has served as president of Albany State University since 2005. He instigated and implemented significantly positive reforms, and his record as president of Albany State University is impressive. Other presidents of the university weren’t able to transform the city of Albany into a true college town, but one of Freeman’s greatest achievements is forging meaningful relationships with members of Albany, Georgia’s business community, leading to the city being an authentic college town, with Albany State University positioned as the leading higher education institution in town and Southwest Georgia. Regrettably, throughout Dr. Freeman’s tenure at Albany State University, he faced tremendous opposition from a vociferous and active small number of change resistors. Before and during his administration, there were people who did not embrace the essential reforms he was proposed and enacted. Most of the folks who oppose Dr. Freeman are nihilists. As nihilists, they don’t believe and support anything and anyone—no matter how great that anything or person is. They simply want to keep up trouble for the sake of keeping up trouble. Although there are more people who agree with the reforms Dr. Freeman championed and instituted, these nihilists are relentlessly peevish, acrimonious, and aggressive in their opposition to Dr. Freeman (and any other Albany State University President). The most foolish and weakest protest in world history occurred at Albany State University. A small group, primarily composed of nihilists, protested against Dr. Freeman and called for his resignation. There was limited student participation in this protest. Darin Edgecomb and Chuncey Ward were two student participants of the protest and both cited weak reasons for protesting and calling for Freeman’s resignation. Shortly after the protest occurred, I had an opportunity to have a brief telephone conversation with Edgecomb, and I asked him to expound on why he participated in the protest and called for Freeman’s resignation. He continued to repeat weak reasons and stated, “Tony, you just have to be down here and see what’s going on.” If Freeman’s leadership was as horrible as Edgecomb and Ward contended, then they would have been able to give more substantive reasons for why he should resign. They never proffered compelling reasons, however. Although Dr. Freeman did not exercise wise judgment in throwing and hitting former Albany State University Vice President for Institutional Advancement Angela Getter with a small magazine during an argument, this is not a good enough reason to call for his resignation. Some sources divulged that Getter had a history of being disrespectful to Freeman and was disrespectful at the time of him throwing and hitting her with the small magazine. Regardless of who is right or wrong in this matter between Freeman and Getter, it’s not consequential enough to necessitate his resignation. As the decision making process is taking place about who will be the next president of Albany State University, it’s clear that he or she will face this same opposition from nihilists at Albany State University and from some of the nihilists who are alums of the university. Albany State University will be unable to be all it can be as long as nihilists are employed by the institution. A number of people employed by the university are simply change resistors. Dr. Freeman refused to allow change resistors to prevent the institution from continuing to move forward. Under his leadership, Albany State University moved progressively forward. For those who desire for Albany State University to be the best university it can be, they must get organized and engaged. We cannot allow the nihilists and change resistors to drown out our voices with their venomous words and actions. It’s time for those who truly love Albany State University to unite and take action to move our beloved institution forward. Our collective action has the power to disintegrate the words and actions of nihilists and change resistors who are inside and outside of Albany State University. Dr. Freeman is a true patriot for his great service and leadership at Albany State University. While the nihilists and change resistors do not appreciate his service and leadership, many more people are proud and appreciative of his service and leadership.